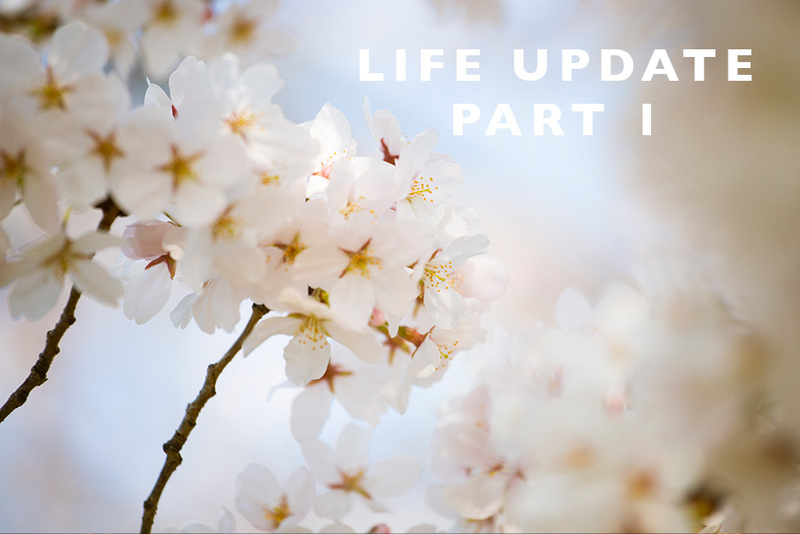 When I announced I’d be cutting back on Land of Marvels travel posts, a few of you asked that I still touch in and offer some personal life updates along the way to keep you informed of everything going on behind the scenes around here. Well here I am doing that! After a chaotic March where my grandma had to undergo surgery and my parents were in town for several weeks, I’m back to a fairly normal schedule so I thought it was perfect time to start these update posts that I’ll try to do every so often to update you guys where I am and what’s going on! So here we go! I just launched my online macaron bakery, Le Reve Artisan Macarons, yesterday and I’m super excited to have that up and running! Honestly, it’s taken up most of my time as of late and it’s so amazing to have it launched and ready for orders. So if you’re in the Portland area, I’d love for you to order macarons from me when you need a sweet treat! My website is all up and running and orders are available to be placed as of yesterday. This has been a lifelong dream of mine and I’m so excited to get going! While we had to cancel our trip to Europe in March because of my Grandma undergoing surgery, we ended up scheduling it into 2 smaller trips: one to Paris and Provence in July and the other to Spain in November. Needless to say I’m super excited for both. But in the meantime, to help cure me of my wanderlust I’m hoping to explore some Pacific NW spots close to us in Portland over a couple weekends in the next couple months. Some spots I’m hoping to get to include the Painted Hills in Central Oregon and the Olympic Peninsula up in Washington, as well as hopefully a visit to Diablo Lake sometime as well. I’ve always believed travel doesn’t have to take you far away and I’m using that as my inspiration in the few months until our trip to France in July! As many of you know, we bought a 1925 Dutch Colonial house in SE Portland last August and we’ve been in the process of renovating much of it over the past several months. It’s been a life long dream of mine to have an old house and fix it up so this really has been so much fun. We took a little break from renovations at the beginning of the year but we’re now back at it and have a ton of project upcoming. Some of the things we’re working on currently are building a custom window box seat in our bedroom so that it looks original to the house, replacing the tile on the fireplace hearth in the living room, completely renovating the front, side and back garden as well as creating an outdoor entertaining area out back that we can enjoy as the weather gets warmer. Needless to say, we’ve got a lot going on with the house and if you’re curious to follow along on our journey, my personal Instagram (cmart1015) is the best place for that!